BUT this blog WILL be about this small town girl. It will probably have random thoughts and sometimes crazy ideas. It may be a tad boring at times but hey, it's my personal online journal so I can write whatever pops into my head :) I am very excited to share with you my view on the world and hope that by writing all the crazy things stuck in my brain . . . I can fill you in on what life really is like in this small town! I completely agree with you! 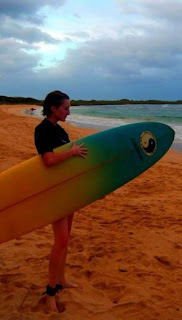 A blog should be a reflection of the writer...Can't wait to see pictures from Hawaii!